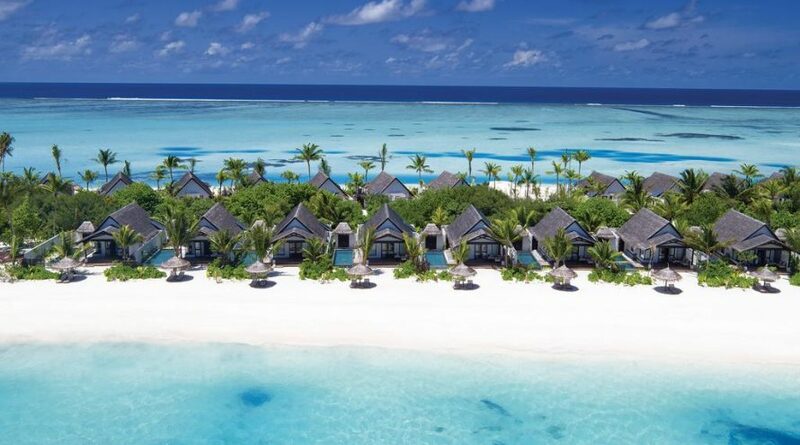 On a palm tree–lined island in the South Malé Atoll, this upscale all-inclusive beach resort is accessible by boat from Malé International Airport. Modern thatched-roof villas offer ocean views, flat-screens, private gardens and open-air bathrooms. Upgraded villas, some built over the water, have private pools, living rooms and/or extra bedrooms; 1 adds a kitchenette. There are 4 sleek restaurants, including an underwater seafood option, plus a pizzeria/bar set next to an outdoor pool. Other amenities consist of a spa, a dive center and a gym, as well as a kids’ club. Excursions, loaner snorkeling gear and airport transfers are also available..